The text on the back cover of this useful little book of historic photographs seems at first sight to contradict that of the introduction inside: “Behind the tourist village of today lies a long history of people making a living from the uncompromising moorland of this area” and “It is a Pennine village that made its living from farming, stone quarrying and textile manufacture.” That is, until you remember that the village goes back a thousand years. Tourists, especially the Brontë enthusiasts amongst them, tend to bear the moorland in mind rather than the industry, perhaps for obvious reasons. 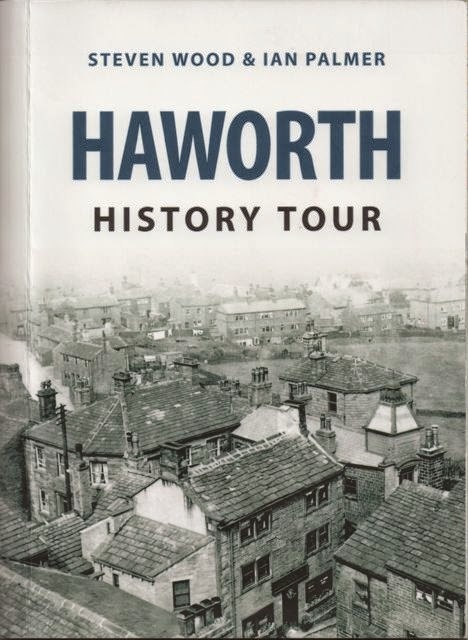 The book could easily be slipped into a coat pocket or handbag, and used by anyone who does not feel like toiling up to Top Withins or sipping tea in cafés but who does want to know something about local history which is not necessarily linked to the Parsonage. Sensible shoes are needed, and possibly a strong interest in the industrial revolution, because many of the places depicted in it are from the nineteenth century. Some of them no longer exist. West End Quarry, for example, one of four on Penistone Hill, is now a series of grassy humps, and Well Street – so called from three large water troughs that used to be there – was “another casualty of clearance mania”, possibly not an unfortunate casualty, because the water was so foul that even the cattle refused to drink it. Many buildings have hardly changed at all over the years, for example The Black Bull, and it is good to find little snippets of information connected with it like “Max Beerbohm took lunch here with Thomas Hardy’s widow in 1931.” It was also good to find so many interesting people mentioned, for example Manasseh Hollindrake, who ran a draper’s shop at number 111 Main Street from 1860 to 1897. One old photo which is likely to be familiar to Brontë Society members is that of the old church, most of which (except for the ancient tower) was built in 1755. The current one dates from 1881. There is a useful map in the first few pages as well. 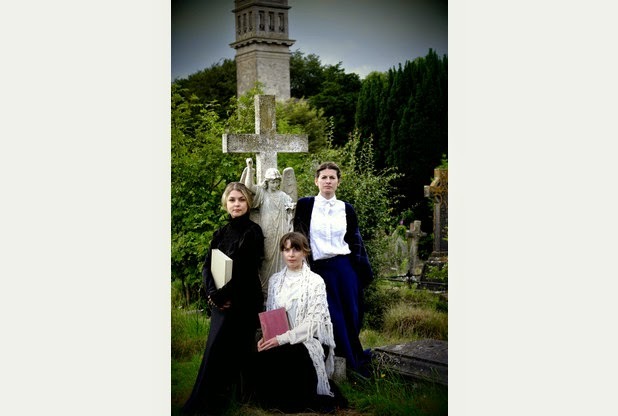 "This passionate and destructive relationship that transcends death is a true gothic success and makes for great theatre. The fine directing from Ian McGlynn captures the wit and fun of childhood antics, switching in a breath to the passionate love of two tortured souls. This is a fine piece of drama the casting is spot on, both performances complement each other well and talent is in abundance." So writes Petra Schofield in her Bath Chronicle review of a production (the second in a trilogy) from Butterfly Psyche and Live Wire theatre. The adaptation is by Dougie Blaxland. Actors Alison Campbell and Jeremy Fowlds are a delight to watch "morphing in and out of the various cameo roles". Wuthering Heights... a new musical? The theme song Wuthering Heights, sung by Nelly, Catherine Linton and Hareton (at the graves) and the entire company of ghosts. A love ballad, Face to the Rain between Catherine Earnshaw and Heathcliff. And a big solo number Beyond the Garden Wall sung by the sixteen year old Catherine Linton. You could comment on YouTube - or here, by clicking on the word 'comments' underneath this post. Laudanum in the nineteenth century was the rough equivalent of the skunk marijuana smoked by so many people in the present day, but more dangerous. A recent article in the cooking supplement of last Saturday's Guardian (7 March) by Henry Jeffreys was about laudanum, not as an ingredient for your next pudding, I must add. Under a line which refers to the famous quotation by Karl Marx - 'In Britain, the opium of the people was not religion, it was simply laudanum', he gives evidence of what many Brontë Society members will probably know already: that the red-brown liquid, powdered opium (ten percent) dissolved in alcohol, its extreme bitterness offset by various spices and additives, could be purchased in most pharmacies during the nineteenth century, and that its use was widespread. Jeffreys makes it clear that it was everywhere. Branwell was just one of countless others who used it frequently. Apparently, according to the article, it was not mainly in the big industrial slums where it was used. The Morning Chronicle in 1850 referred to the 'opium-eating city of Ely' and Thomas De Quincy (Confessions of an English Opium-Eater) described Lancashire towns 'loaded with little laudanum-vials, even to the hundreds, for the accommodation of customers retiring from the workshops on Saturday night". Gee's Linctus, a cough medicine which was available well into the twentieth century (older members may remember it) was made with opium, and that great household manager Isabella Beeton featured recipes for various remedies made with opium, in her famous book. Mary Shelley's character, Victor Frankenstein, used it to help him sleep. 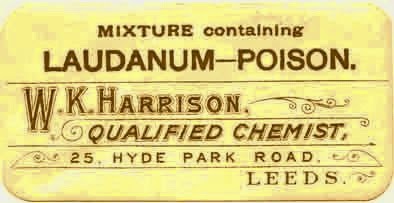 I am now wondering how many others in nineteenth century Haworth would have bought laudanum to ease their pains, help them forget their woes or to finish themselves off. Is there a scholar who has done the counting? 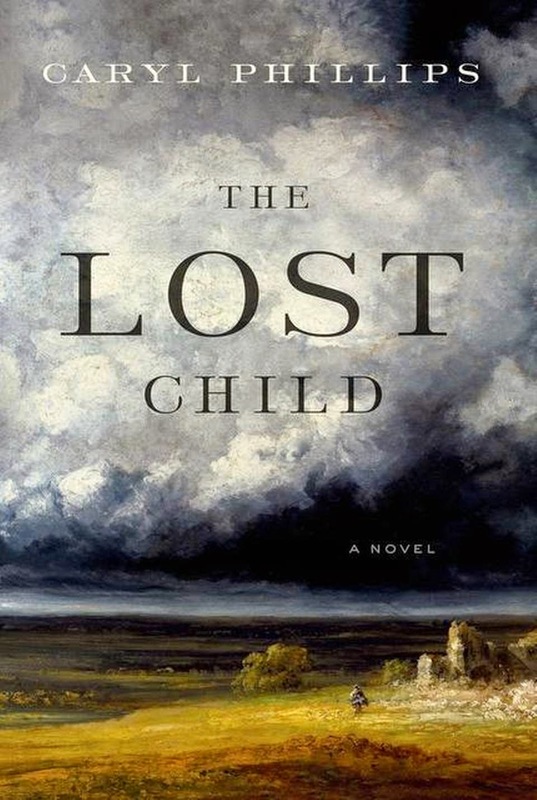 Thanks to US member Paul Daniggelis from Texas for sending us this link to a review of the new book from Caryl Phillips, The Lost Child, a reweaving of the Wuthering Heights story. 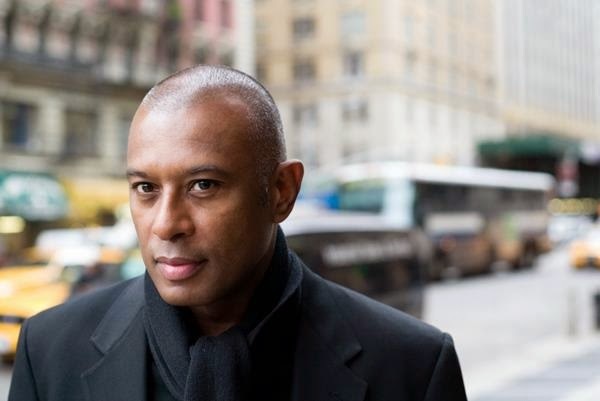 Novelist Caryl Phillips visits Haworth to discuss his new novel The Lost Child. Phillips boldly re-imagines Wuthering Heights in 1960s Leeds in a haunting novel about migration, social exclusion and the difficulties of family. 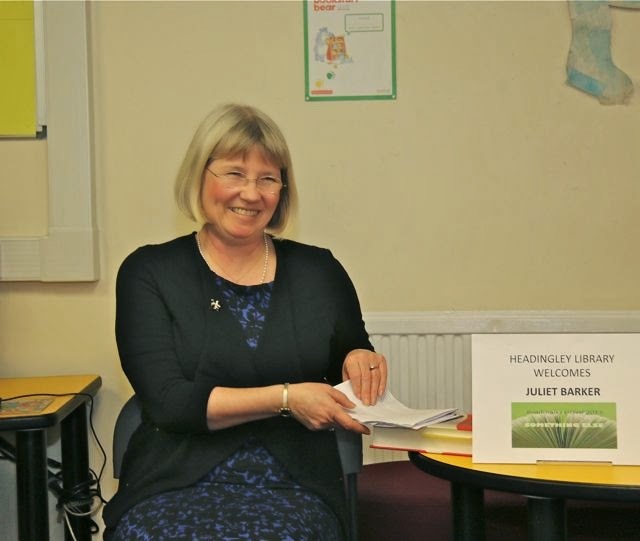 In association with the University of Central Lancashire. Tickets £6 and should be booked in advance by clicking here or phoning 01535 640188.